It does kind of look croc-ish, but it isn’t really. This creature isn’t actually a reconstruction of anything at all. 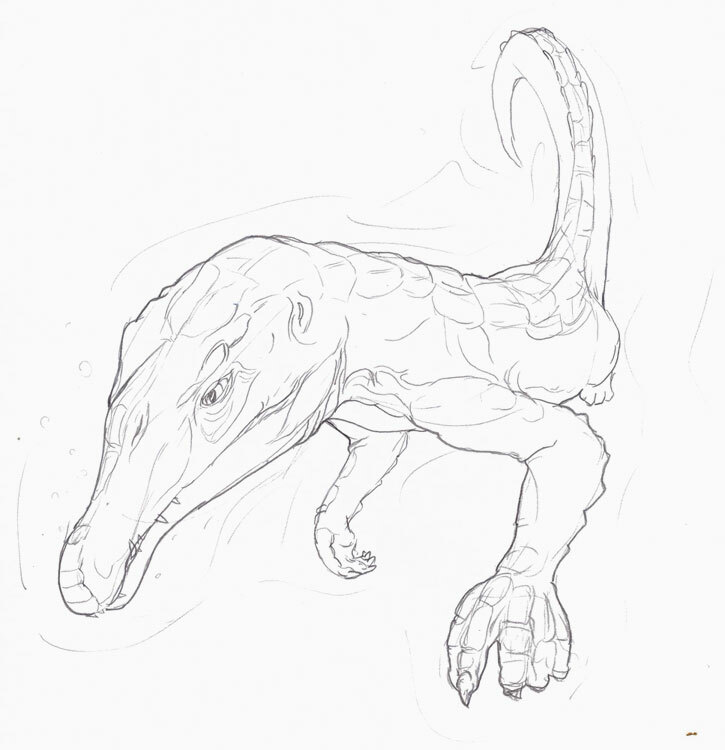 This entry was posted in Scanned Desksketch and tagged archosaur, crocodile by Anthony. Bookmark the permalink.